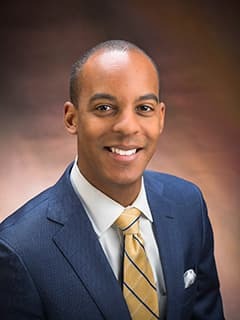 Stephon N. Proctor, PhD, ABPP, is a board-certified psychologist in the Department of Child and Adolescent Psychiatry and Behavioral Sciences at Children's Hospital of Philadelphia. Dr. Proctor is a clinical child psychologist specializing in the evaluation and treatment of attention-deficit hyperactivity disorder (ADHD), disruptive behavior disorders, and anxiety disorders. He has experience treating children through various interventions including cognitive behavioral therapy (CBT), parent management training (PMT), exposure and response prevention (ERP). Dr. Proctor’s approach to therapy is to use empirically-supported interventions and to work closely with children’s caregivers and teachers to improve children’s functioning at home and school. Dr. Proctor is board certified by the American Board of Professional Psychology with a specialization in Clinical Child and Adolescent Psychology. He is skilled in behavioral health informatics and population data analysis.